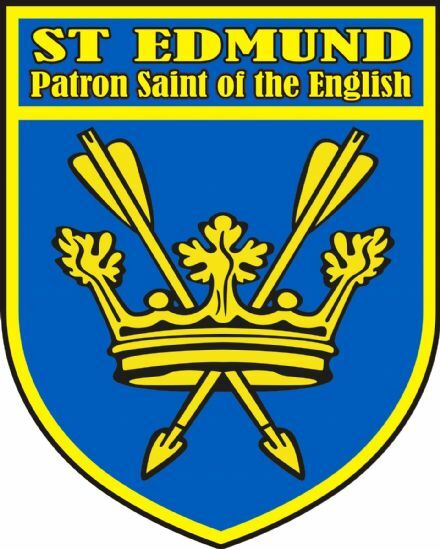 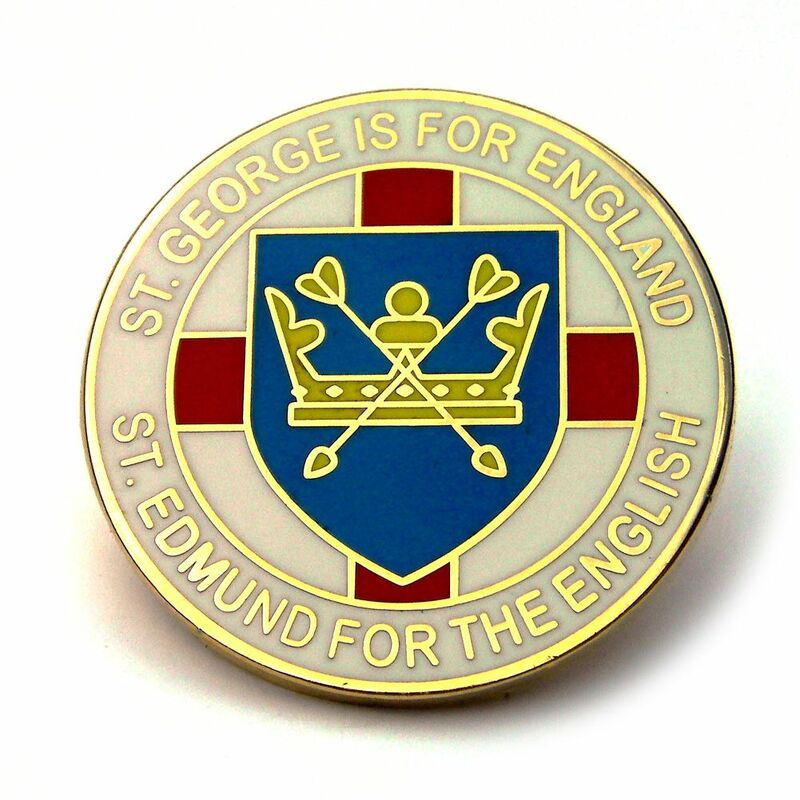 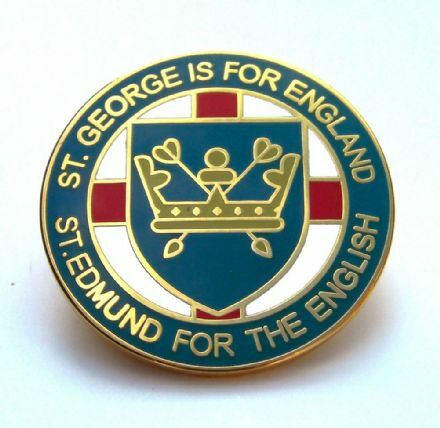 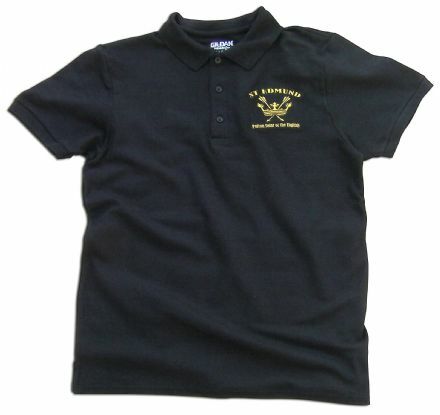 Lapel badge depicting the coat of arms of St Edmund, the original Anglo-Saxon Patron Saint of England. 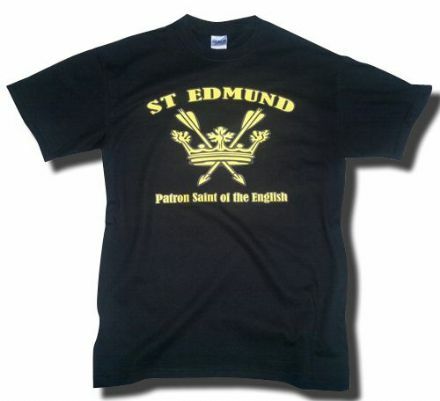 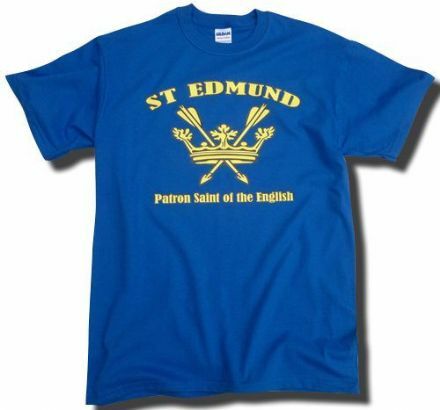 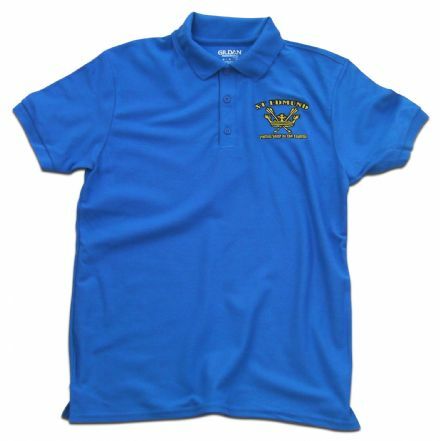 His feast day is November 20th and there is an on-going campaign to have St Edmund's Day marked with a bank holiday. 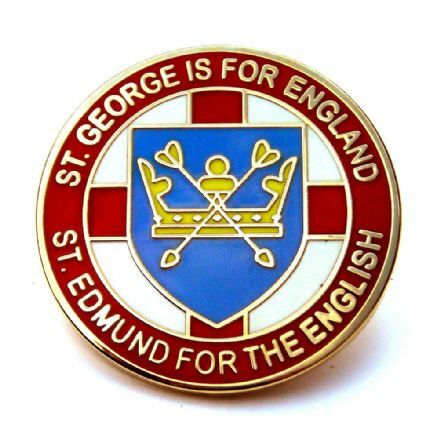 While St George remains the Patron Saint of England many Englishmen increasingly regard St Edmund as the Patron Saint of the English. Wear this badge with pride and remember a King who gave his life for England.